Happy birthday to Rod Temperton (main picture), who turns 67 years-old on October 15, 2014. Born in England in 1947, Temperton would become one of the architects of Black pop in the late 1970s and early 1980s, remaining an obscurity for those who might be surprised that a White British guy could help create some of the most soulful music from the period. In celebration of Temperton’s birthday, here are seven songs that define his sound. In 1974, Temperton joined the group Heatwave, responding to an ad for a keyboard player. The group dropped it’s first album Too Hot to Handle in 1976, releasing two singles to little effect including “Ain’t No Have Steppin’” (which caught the ears of early Hip-Hop DJs). But it was the third single, the Temperton penned “Boogie Nights” that caught fire, hitting #2 on the Pop Charts, just as the Disco explosion was popping off. The song's opening jazz flourishes give early indication of Temperton’s sophisticated take on R&B. 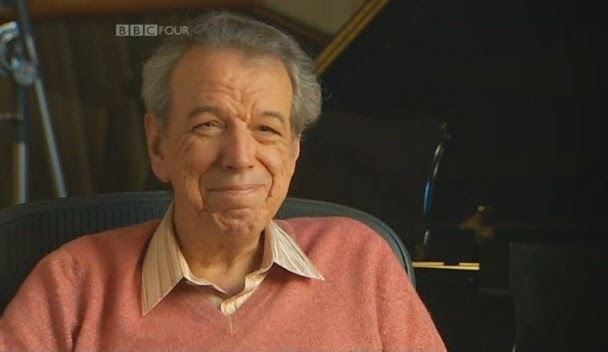 Temperton left Heatwave in 1978, though he continued to write for them. He could be forgiven, catching the attention of Quincy Jones, who was working on the Michael Jackson's solo re-boot. Jackson’s subsequent Off the Wall may be the most perfect pop record ever--though firmly grounded in a glossy R&B production--and “Rock with You” may be the most perfect of those tunes on the album. cross-over sound that Benson craved, and of course with Quincy came Temperton, whose work on the title track is joyous, though for my money, it’s “Love X Love” that still gets the weekly “spins” on the iPod classic. With Off the Wall, Benson’s Give Me the Night, his own The Dude and then Thriller, no producer can really claim the run that Quincy Jones had from 1979-1982--and Temperton is with him at every step. Co-written by Temperton and Q’s god-daughter Patti Austin, “The Dude” represents Q’s uncut persona. So…let’s just call “Lady in my Life” the Blackest song on Michael Jackson’s historic Thriller recording--and what does it mean it was Temperton who was the sole writer? Temperton get’s praise for the title track, though that may have to do more with the visuals than the music, yet it remains odd that the only tracks not released as singles, “Lady...” and Temperton’s “Baby Be Mine” were the two with the most distinct R&B DNA. “Mystery” first appeared on Manhattan Transfer’s Body and Soul (1983) and got spins on R&B radio, but it is Anita Baker’s version from her 1986 breakthrough Rapture that everyone remembers.